The first and most important preparation you need to do when gardening, is prepare the soil properly. Today I am going to share a simple guidelines. Every city, every piece of lands soil is going to contain different properties. So, some areas soil will need more preparation more then others. 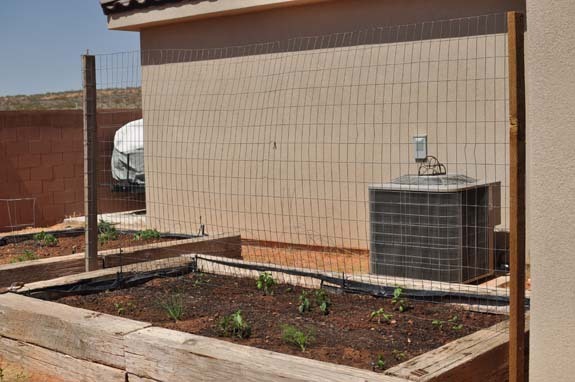 A good garden soil has depth and the soil is loose, fertile, drains well and has plenty of organic matter in it. I highly suggest you taking a soil sample down to a local nursery to have your soil tested after you prepare it, to make sure it is good to go! I have seen the cost of this range from $5 to $15. I have never used one, but you can purchase home soil testing kits too. I honestly don’t know the science behind soil. I’ve only gardened for a few years. But, I do know that the more attention my soil gets, the better my plants grow and the more they produce. My family is gardening at an Organic Community Garden this year. I am super excited about! 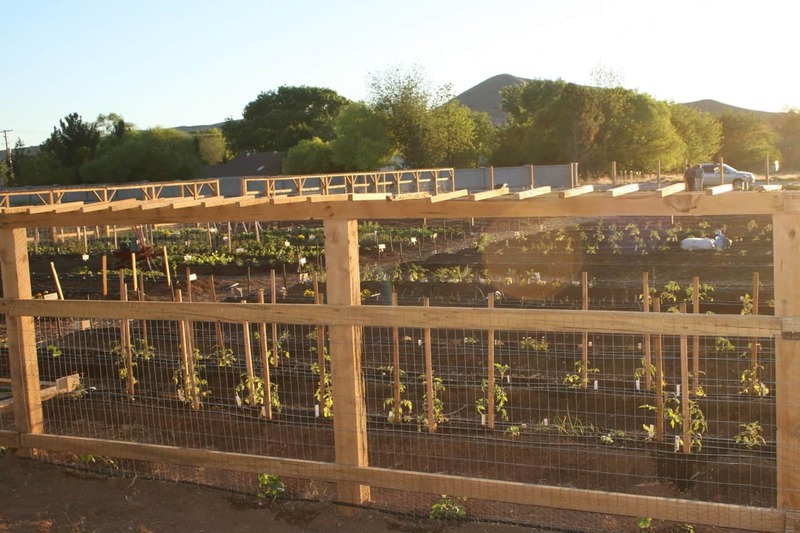 They prepared 50 ft long raised beds and we have 3 of them. 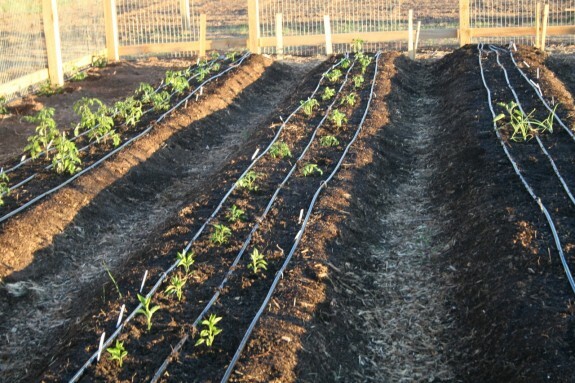 They already had the beds made, but we had to add things to the soil as well. Their beds were made of a combination of ground soil and compost. I would say it was originally a combination of probably 60% ground soil and 40% compost. Again, these amounts are based off the need of a 50×3 raised garden row. So, you will need to adjust the amounts to fit your space. Azomite: Azomite is a natural re-mineralizer for soil. It is a unique silica clay mined from a 30 million year old volcanic ash deposit which contains minerals unlike any volcanic deposit in the world. Azomite contains more than 67 trace mineral elements and every essential micro-mineral needed by plants and animals, including a wide range of rare earth elements and other minerals not included in fertilizers or animal feeds. You use Azomite to replenish the trace mineral content in the soil, to increase the number and size of fruits and vegetables per plant, and to help plants contend with disease. If you want a much more detailed article on soil preparation (specifically in Utah, but got info all around), I found this great document from Utah State University. Lisa has much deeper beds then what our garden rows are. So, she makes her beds up of 40% regular soils, 40% compost and then 20% top soil (like a potting soil) and additives, like Perlites, Vermiculite, Azomites and fertilizers. Lisa prefers to use a Vegetable and Tomato Granule Fertilizer, because it is only required every six weeks. 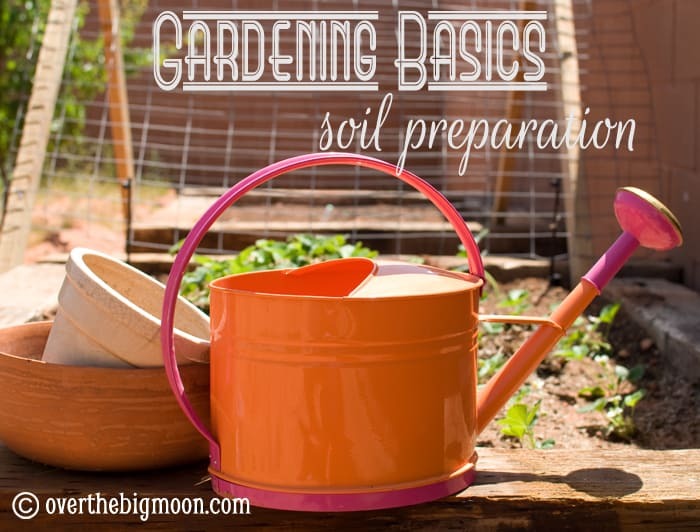 I hope this gives you some direction on getting your soil all prepped and ready to plant! Also, if you missed it, be sure to check out the other posts in our Garden Basics Series: Planters, Beds and Trellises and Planting and Pests! 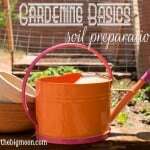 Great info on the soil preparation. I learned this year how important the soil really is.